Can it be true? Our much-loved superfood is actually doing our bodies more harm than good? Say it ain't so! 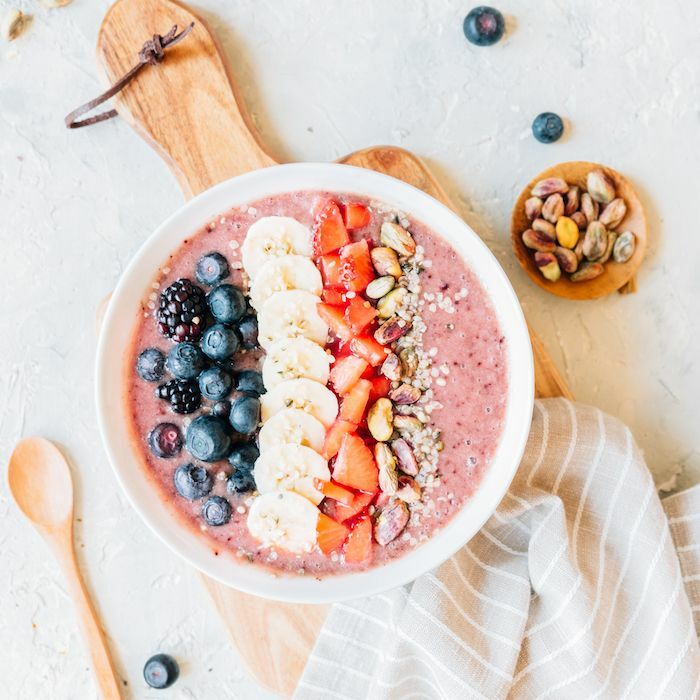 According to Brawner, there is a common misconception that açaí bowls and fruit smoothie bowls are a healthy way to start the morning because they're light, easily digestible, and full of superfoods. But that couldn't be farther from the truth. "Generally, açaí bowls are just beautifully crafted, bright, and trendy bowls of sugar," she said. "Açaí bowls are full of both glucose and fructose that are naturally occurring from fruit and added to the blender in the form of sweetener, ice cream, and even just pure fruit juice. Add granola and tropical fruit toppings to the mix, and it's quickly evident that this is not the breakfast of champions." We've been told repeatedly that sugar is bad, so in an effort to ditch it, many of us replaced it with sugar-free sweeteners. But this isn't the answer either. The fake stuff is just as bad for you. "Lots of my clients pour packets of fake sugar in their morning coffee, and it's something I make sure to educate them on right away," said Brawner. "Artificial sweeteners are still harmful, even if they aren't sugar. Consuming them regularly has been linked to the same health concerns as sugar: obesity, insulin sensitivity, glucose intolerance, high blood pressure, and more." Next, see whether or not those colorful superfood lattes are actually healthy.